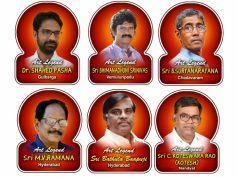 Bhubaneswar: This is the ICCR tour by Ministry of external affair, Govt of India by Indian council for Cultural relation, Art Vision team is the Odissi dance institute by Padmashree Ileana citaristi, here the team is Traveliing the month of July to different places of Europe. 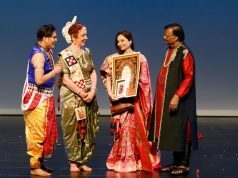 Artvision is presenting the Odissi dance in summer festival in Italy and France like La Versiliana dance festival, kannonika, Bergamo, Rome, and some places in France.. 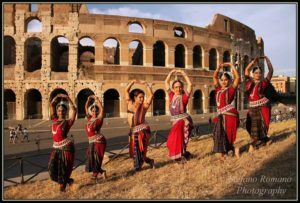 It happEned that there was a special shoot to promote Odissi culture Ileana Citaristi and Saswat Joshi , the famous male Odissi dancer presented Mokshya with shanti mantra omm omm omm infront of worlds wonder Collosseo , the great Roman ruin in Rome. 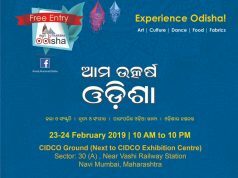 Thousand and thousand audience were speechless after seeing this beautiful Odissi Performance by the team.. The bol kad taka gadi gana dha Mesmerised the audience. The other team member are Minati Mohapatra, Upasana mohanty, Anaidita Parida, Mousumi Mohapatra.. All trained dancer from Art vision.